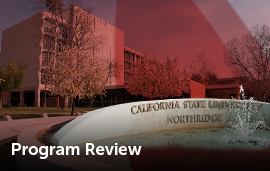 Welcome to the web site for the CSUN Office of Assessment and Program Review. This site performs two essential functions: first, as a faculty resource for the performance of academic assessment and program review, and second, as a public resource providing transparency into the university assessment of student learning, as well as into programmatic planning and self-reflection. Two steps in a single process, academic assessment constitutes a data-driven evaluation of teaching and learning, with the purpose of guiding educational planning and problem solving throughout the university. 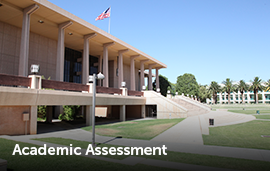 Open-ended and experimental in spirit, academic assessment is an ongoing inquiry with the purpose of providing the best possible learning experiences for the students at California State University, Northridge.